Al Sharpton wants to tear down the Jefferson memorial in Washington, he says it is because it is discourteous and offensive to his family. Protesters vandalized and attempt to take down the Peace Monument in Piedmont Park Atlanta. Four Confederate monuments were removed in Baltimore, Maryland, overnight, days after Charlottesville, Virginia, became the center of a deadly clash over the planned removal of a Robert E. Lee statue. The removed statues, according to ABC's Baltimore affiliate WMAR, included the monument of Confederate generals Robert E. Lee and Thomas. J. “Stonewall” Jackson; the Confederate Women's Monument; the Confederate Soldiers and Sailors Monument; and the monument of Roger B. Taney. In another North Carolina town, two Confederate statues were vandalized with spray paint. A 1914 monument honoring fallen Confederate soldiers was splattered with paint. Opponents are signing a petition to have it removed from a neighborhood near the University of Tennessee campus. A 52-foot-tall obelisk honoring Confederate soldiers and sailors was covered by wooden panels at the mayor's order. The 1905 monument is in a downtown park. Hollywood Forever Cemetery, where many movie legends are interred, removed a 6-foot Confederate monument that was erected in 1925. The removal of Thomas Jefferson’s face from Mt Rushmore is scheduled because Al Sharpton is offended by it and Theodore Roosevelt also must be scrubbed off because some consider him friends with Stalin, and then of course old George had a slave or two. the U.S. are scheduled to be demolished because American history is an embarrassment to certain groups of people. The report that they are raciest is fake news, shucks everything is blamed on being raciest. And the rest is blamed on global warming. THE BOTTOM LINE: Well, just because Lenin’s statue in Seattle is offensive to me, should we tear it down? YES of course we should, it should be offensive to every’ patriotic American. But it won’t be one of the monuments scheduled to be torn down. Why? Because Vladimir Lenin is the hero of the deep state, the elite left and the Communist media, moreover it is not a part of American history, and it is the history of America that is on the Communist Deep States chopping block my friend. “Okay, in light of today's racial unrest; cities, States and universities are tearing down their confederate statues. But apparently that is not enough. There are now calls to remove statues of Washington and Jefferson because they were slave owners. Well then we certainly can't stop there. 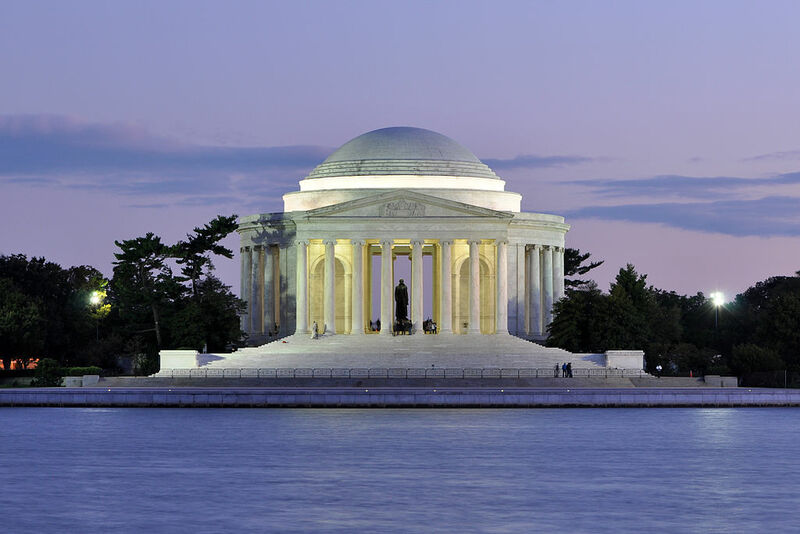 Consistency of purpose suggests we are going to have to bull-doze the Washington and Jefferson Memorials to the ground. And how about Mt. Rushmore. Let’s blast that granite tribute to the founding fathers and those other two shifty Republicans (Abe Lincoln and Teddy Roosevelt) til Dakota rock covers the states of Nebraska and Iowa. Then, finally, all our problems will be solved and there will be peace and harmony across the land.